Since beginning her career in long-term care at Northaven, Darlene has worked as the Assistant Administrator, the Director of the Assisted Living and currently as Executive Director of Northaven Senior Living. 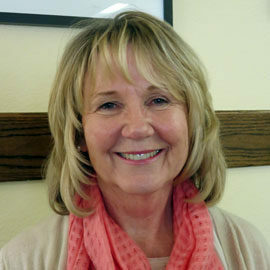 Darlene has served on the Board of Directors of LeadingAge Washington as Secretary, Chair and Past Chair. She has also served on the national LeadingAge Public Policy Congress for Affordable Housing and on the LeadingAge Task Force for Assisted Living Programs. Darlene has represented LeadingAge Washington on the Governor’s Task Force for Assisted Living, served on the Washington State Boarding Home Advisory Council for Long-Term Care She has Chaired the Assisted Living and Senior Living and Community Services (facilitating partnerships in the advancement of senior housing and community services) committees for LeadingAge of Washington. She is a former coach and mentor for the LeadingAge of Washington Leadership Institute. Her passion is to create a healthy, active, engaged community for all ages. Darlene holds a bachelor’s degree from Evergreen State College. Darlene resides in Kirkland with her husband Peter.